Description: Dan's Taste of Summer's Chefs of the North Fork 2018 at The Halyard at Soundview Greenport, Suffolk County, Long Island, New York. 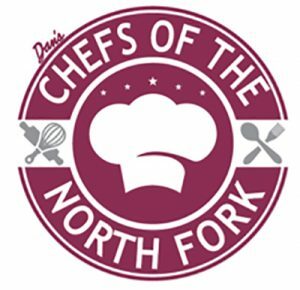 Dan's Chefs of the North Fork will make its debut at The Halyard at Sound View Greenport on Saturday, July 7 2018. Guests will enjoy an intimate five-course seated dinner featuring an unprecedented lineup of acclaimed chefs on the North Fork. This new event will be a celebration of North Fork cuisine honoring North Fork Table and Inn owner Claudia Fleming, who is a James Beard Foundation Award Winner for Outstanding Pastry Chef and is considered the mother of dining out on the North Fork. 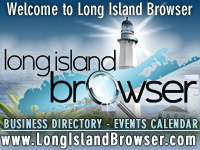 Local restaurant favorites include Peconic Escargot, Oyster Pond Shellfish, Grace and Grit and North Fork Table & Inn. Tickets grant access to the cocktail hour 7:00PM-8:00PM and dinner 8:00PM-10:00PM.